Noah Charney, professor of art history and art crime, has posted an interview with me at his column on ArtInfo. Click here to see it. Sarah Johnson has posted my guest blog at Reading the Past - click here to see it. 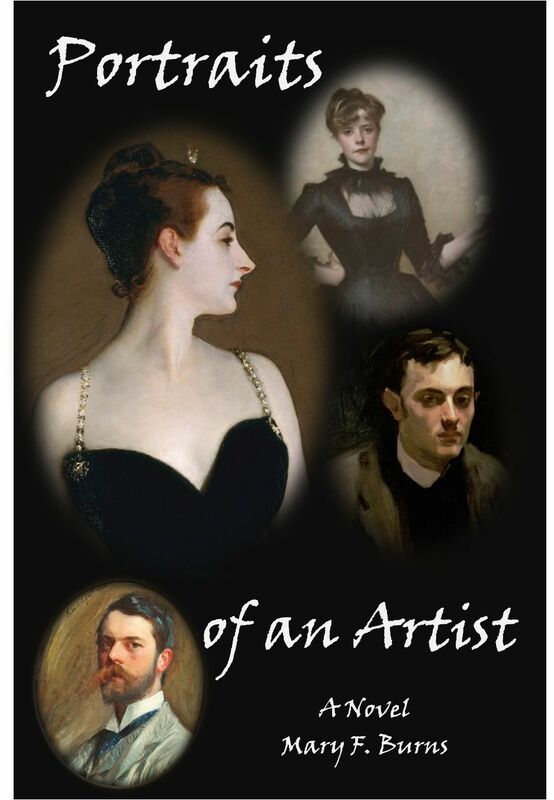 I recently received an advance review copy of Mary Burns’ upcoming historical novel, PORTRAITS OF AN ARTIST. The novel, which recently won an honorable mention at the New England Book Festival, tells the story of expatriate American painter John Singer Sargent – as seen through the eyes of the men and women who knew him and modeled for his paintings. Longer review: I found the novel’s premise intriguing, even though I didn’t think I had ever heard of John Singer Sargent. However, I quickly realized I had seen one of the paintings on the cover – the enigmatic ‘Portraits d’Enfants’ – on display at the Boston Museum of Fine Arts. I was drawn to the painting when I saw it at the MFA, and found Burns’ novel equally intriguing. Burns “paints” a picture of John Singer Sargent, and controversies that plagued his life and his painting career, through the eyes of his subjects – the women (and men) who loved him (and often wished he loved them equally in return). The novel’s various narrators have unique and distinctive voices, and Burns’ choice to reveal Sargent through multiple narrative eyes gives the novel a multi-dimensional element that adds to the reading experience. I won’t spoil the read by telling you about the details – and the scandals – the story reveals, or the specific ways it sheds light on Sargent’s inscrutable exterior. But if you’re a fan of art or historical fiction – whether or not you know Sargent’s work – I think you’ll find this novel both interesting and very much worth the read.